Ok, I know it sounds crazy, but this cake actually tastes like an Irish Car Bomb (the drink not the actual thing...those are generally more painful than they are tasty). Who would have thought that pouring beer into a cake could be so good! 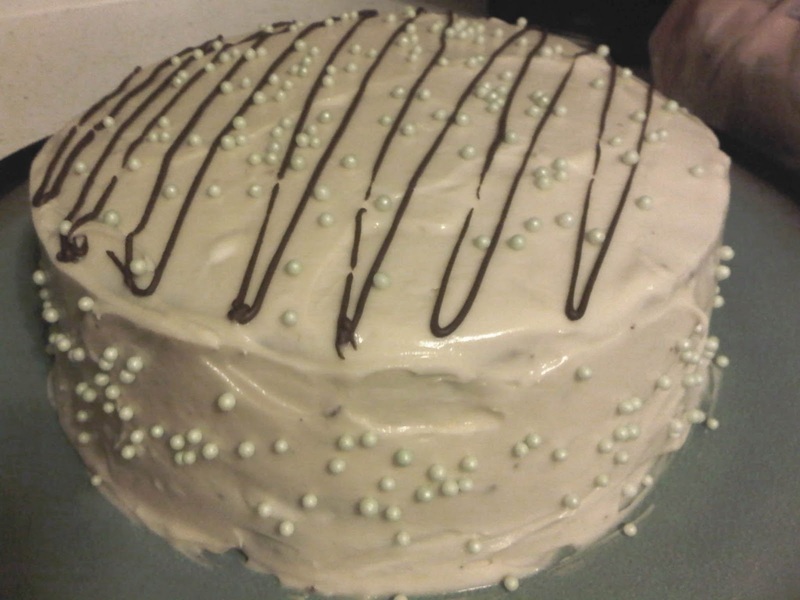 I first made this cake entirely from scratch for an office party last St. Patty’s Day. Since then I have developed this easier method. Enjoy! 1. Prepared the cake according the package directions, substituting the beer for the water from the recipe and adding an extra egg. At this stage you may also add a sprinkle of kosher salt, which helps to unify the flavors and tame the cloying sweetness of the frosting, your choice. 2. Bake the cake in two 8 in. round metal cake pans, greased with butter, and sprinkled with cocoa powder to prevent sticking. 3. Bake according to the package directions. 4. Remove from pans as quickly as possible and cool completely before adding frosting. 1. Using a hand or stand mixer, cream the cream cheese until fluffy. Slowly add the powdered sugar. After the powdered sugar has been incorporated, add the vanilla and Irish cream. Mix until thoroughly combined. 2. Frost the cake. Use a layer of frosting between the layers to hold the two together.